Coaching is all about giving you a new perspective: it will give you the opportunity to use all that you are and make your life as a leader easier. 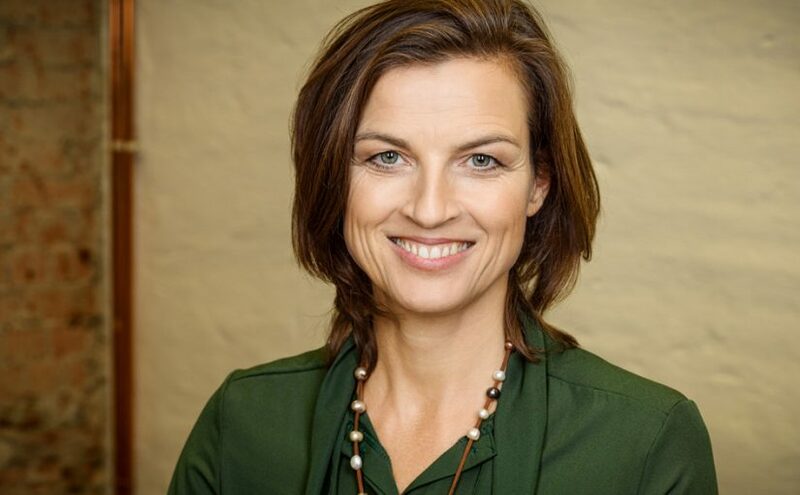 I am Mona Klare from Berlin, born in Hamburg 1966, and I am a trained systemic coach, an entrepreneur, an actress and an approved advisor for the Start-Up Coaching Program of the BAFA (Bundesamt für Wirtschaft und Ausfuhrkontrolle). I worked as a leader in the marketing and advertising business for many years until I became a professional actress, working in television. Since 2011, I have combined my two careers as a business professional and as an actor. There are many similarities between acting and leading among others do both require good communication skills and the ability to be authentic. In both professions, you need a clear perspective on your role, on your status and on your relationships. These three concepts are at the core of my belief system and if you would like to read further about this concepts, I am preparing a blog on this later. As a leader and as an artist you are on a stage. Your employees and co-workers will observe you and try to read your thoughts through your behaviour. Because of this, you as an executive want to be aware of your body language and the way you communicate with people. Successful coaching is based on the willingness to change and the trust between the coach and those being coached. In order to progress, there has to be a mutual acceptance of the coaching process and full confidentiality. Executive coaching is about leading yourself and others. If you are struggling to leading yourself, others may react towards your leadership. We start off with examining how you lead yourself. What is your perception of yourself, how do others perceive you and how do manage your behaviour when you are a leader. Read about my work with coaching artists here. Coaching provides you with the tools to make changes personally and to express yourself. You can, in a safe environment, role-play real life situations and gain insights into how to improve or resolve them. It will give you the time and opportunity to think about your working environment, and, what, if anything, you want to do to improve it. In order to do that we create a safe, completely confidential environment. Here you can deal with your concerns, and discuss and work on personal issues you want to improve or resolve. You can talk about anything you feel is affecting your performance and work with your coach to make improvements. Coaching can reveal issues that have been dormant for years. There has to bee a mutual trust between you and your coach. In short, coaching gives you behavioural alternatives for you at the present time and in the future as well. When is coaching a good idea? Everyone is talking about change and change is part of our daily life. For me, coaching is development – development is to change with the ambition to act in accordance with your inner values. It is paramount to be authentic in your relationships and let go of old, and sometimes damaging, behaviour. You have to learn from your life, rather than theory. Your leadership is challenged by management, digital or organisational changes – and by your staff. Lifelong learning is not just a buzzword for you. No matter if you have 5, 15 or 25 years of experience: you want to improve. You need to understand and resolve conflicts at your work place. You need to be a more confident and authentic leader. You need to define, plan and execute your career goals. You are having symptoms of stress over a long-term period. Sometimes training is a better idea than coaching – want to know when and why? The ability to receive and give honest, appreciative feedback and to do so without accusations or judgement. The resources to reflect and to develop your untapped potential. The capacity to improve and enhance your brand as a leader or as an entrepreneur. The skills to improve your communication skills both verbally and non-verbally. References from clients are available here – have a read. Why use a coach and not a friend? The difference between a coach and a friend or a colleague is major. A coach will never advise you on what to do but instead challenge you on the way you look at the problem. In my work I use a playful approach in order to make coaching fun. I also introduce you a different way of behaviour in order to set you free from old thought patterns. Coaching gives you the opportunity to use all that you are in order to make your work life more conscious and your life as a leader more balanced. It is all about giving you a new perspective. Are you interested in coaching, then call +49 (0)1775216270 or info(Replace this parenthesis with the @ sign)klares-coaching.com for an introductory conversation. I offer coaching in Hamburg and Berlin free of travel expenses and I travel all over Germany and Europe.